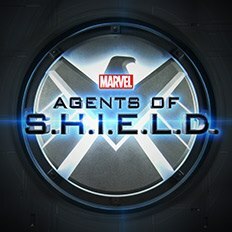 For those who missed it here’s the first full length trailer for the Joss Whedon directed Agents Of S.H.I.E.L.D. The trailer features Brett Dalton as Agent Grant Ward as he’s granted access to Level 7, at least the same clearance level as Coulson himself (as revealed in a Marvel One-Shot short). More detail is given on the rest of the cast, including Ming Na as Agent Melinda May, Elizabeth Henstridge as Agent Jemma Simmons, Iain De Casestecker as Agent Leo Fitz and Chloe Bennett as Skye. The trailer also includes the best look yet at J. August Richards’ mystery character who we speculate was Luke Cage. but we can also speculate could be Victor Alvarez/Power Man or even the new warrior Rage/Elvin Holliday. Upon closer inspection of the Video a few things are clear, whoever Richards is playing has super speed as well, meaning he could not be Luke Cage or Rage/Elvin Holliday. We also have this quote from an IGN interview with executive producer Jeffrey Bell who talks quite a bit about Richards. Now that adds a whole new layer to speculation since marvel has an open race policy with casting (which is a good thing I might add) J. August Richards could be playing a white character turned black for story purposes or as we continue to speculate a brand new character.